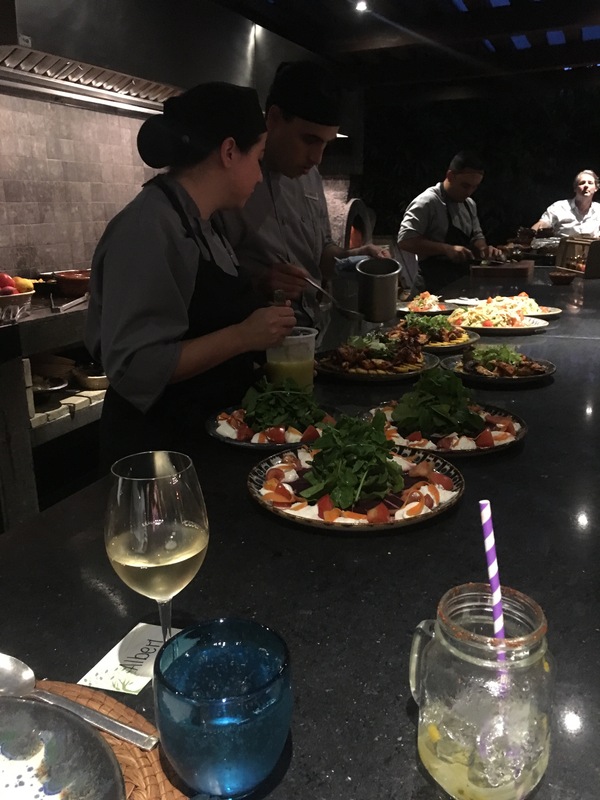 Here are my reviews of the eateries around the Mayakoba / Playa Del Carmen / Tulum/ Riviera Maya area that we tried out:LA CEIBA: This is the word-of-mouth Chef’s Tasting Dinner at the Rosewood Mayakoba resort. Why isn’t it advertised? Because it doesn’t need to be! It’s THAT good! It is held in their garden usually on Tuesdays & Saturdays, although weather or other events may change this schedule from time to time. Advance reservations are required as space is limited. For $250/person, you are wined and dined for hours under the stars. 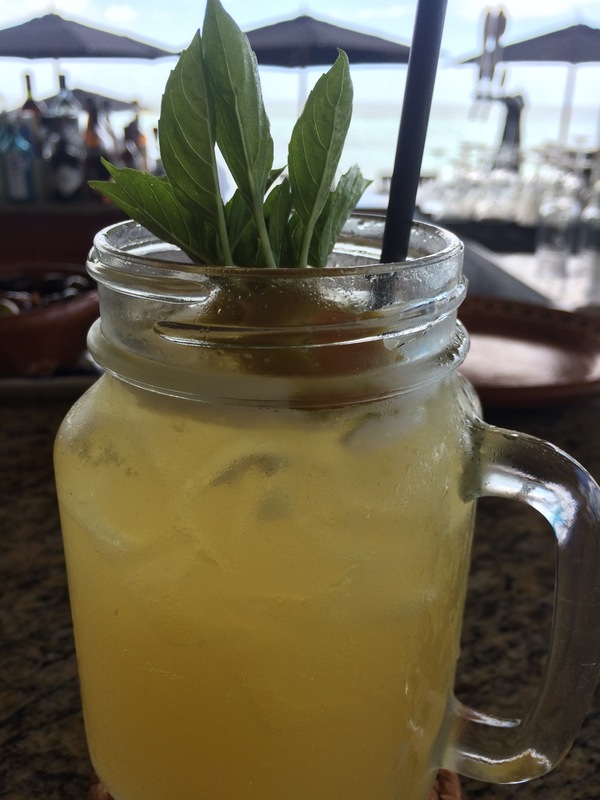 Guests are welcomed into the beautiful vegetable & herb garden with live music and a selection of margaritas. Immediately upon walking in, an assortment of Yucatán-inspired tray-passed appetizers, such as Shrimp Aguachile, Tuna Tostadas & Chicken Tinga Tostadas, circulate their way around as guests mingle with the dinner hosts and other guests. 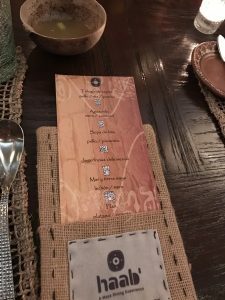 Then guests are invited to make their way to communal dinner table where place cards have been set to direct guests to their appropriate seat. We have met so many wonderful people during our visits to La Ceiba, guests and staff, whom we continue to stay in contact with. That really helped to make it such a memorable experience each and every time we have gone. 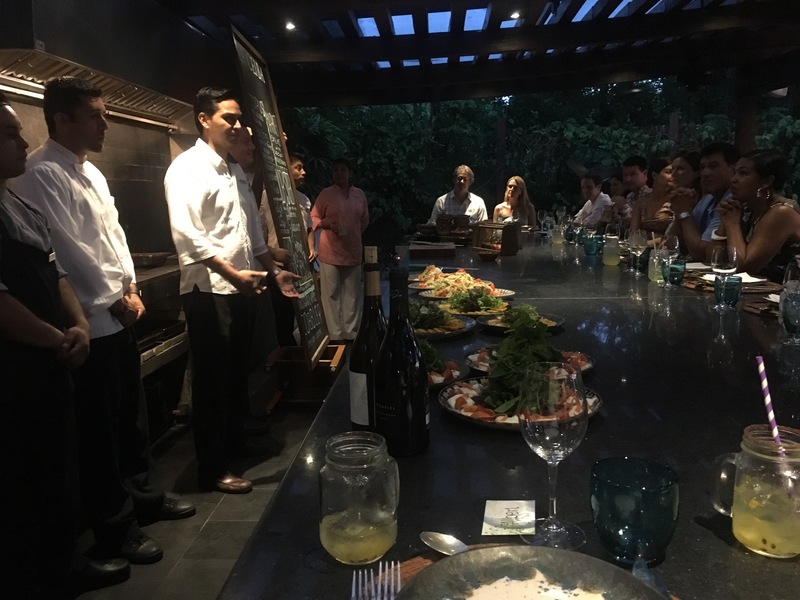 After a wonderful introduction by the dinner host (in our case Lutz who is the Food & Beverage Director of the resort), the chef introduces his team of culinary wizards and gives the menu run down. Starting with a variety of delicious salads and white wine, guests are initially served by the wait staff and then offered seconds or thirds by leaving the remainder on the table for guests to help themselves to. Moving on to the entree courses with red wine, we enjoyed a feast of grilled lobster, lamb chops, fish and cochinita pibil (a Yucatán style pork slow-cooked in an underground oven). 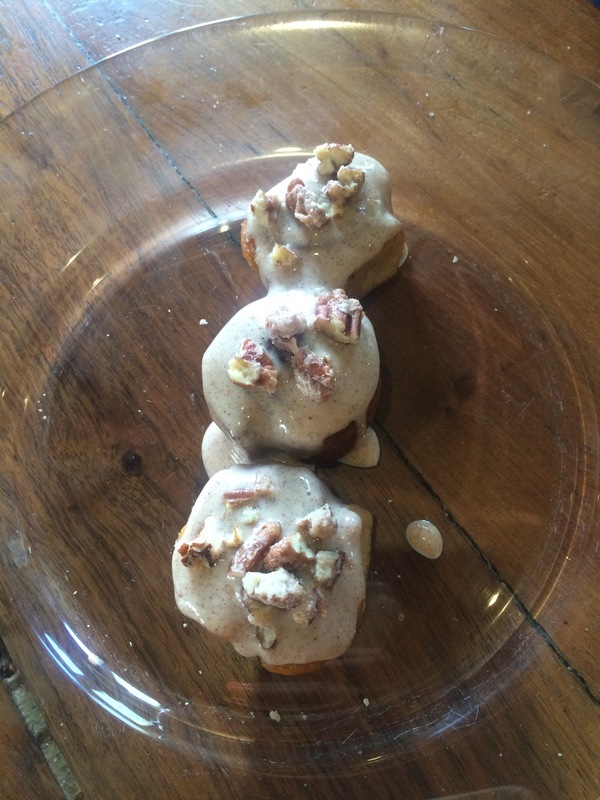 For guests with dietary restrictions or allergies, they are more than happy to make any substitutions and/or a special menu (advise the staff in advance when making your reservation). 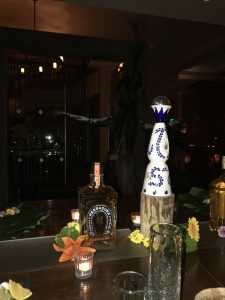 If that wasn’t enough, the amazing dessert course is paired with as much Don Julio 1942 as you can drink (I believe it has now changed to a high quality Herradura tequila). It is a TON of food & alcohol that they are happy to keep flowing late into the night. Be sure to go hungry and do not eat lunch! By far, one of THE best meals I’ve had in my life! So good, in fact, that we attended the same dinner twice in a week! We have actually been back twice since! We can’t stay away!! 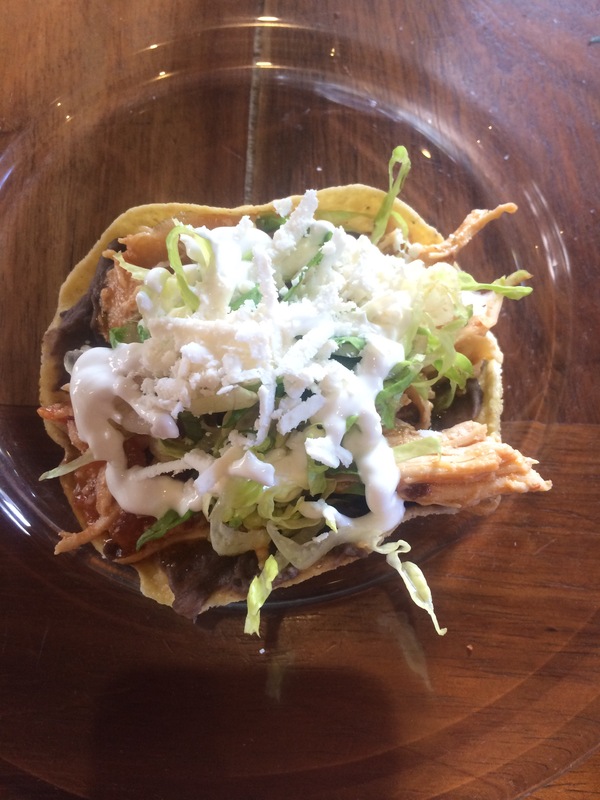 LA FONDITA: This amazing lunch spot that I like to call “Tostada Heaven” is located at El Pueblito, the recreated Mexican village in between Fairmont & Rosewood on the Mayakoba property. 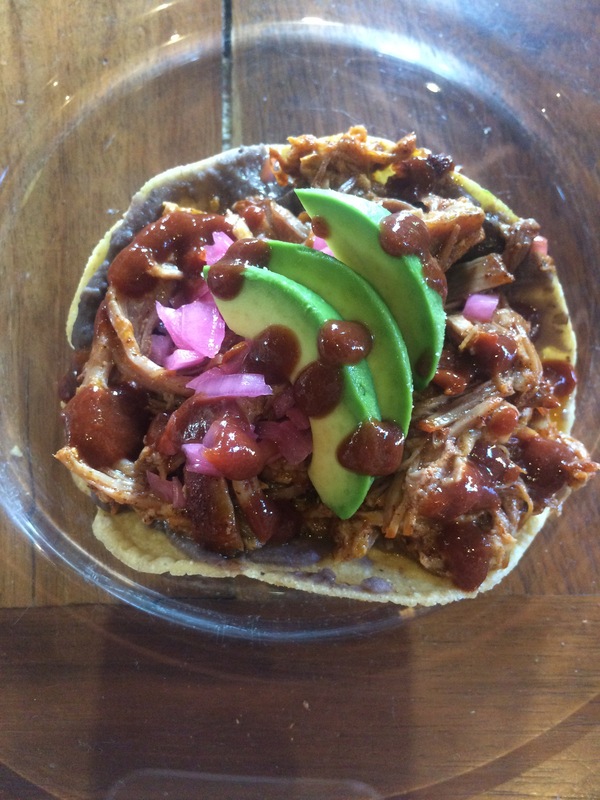 Every one of these tostadas will blow your mind! My faves: Tuna, cochinita pibil, & chicken tinga! AGAVE AZUL: Beautifully situated off of the Rosewood reception overlooking the property’s waterways, Agave Azul served up delicious sushi and Japanese cuisine. This was as good as any great sushi spot in LA, much to my surprise! Who knew?? Totally on my list again next time we go back! 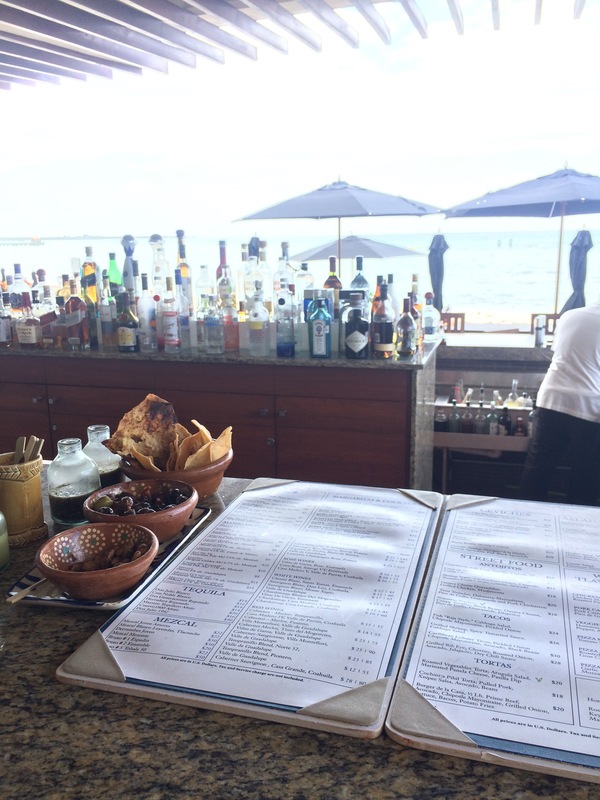 PUNTA BONITA: This is the beachside restaurant at the Rosewood Mayakoba. 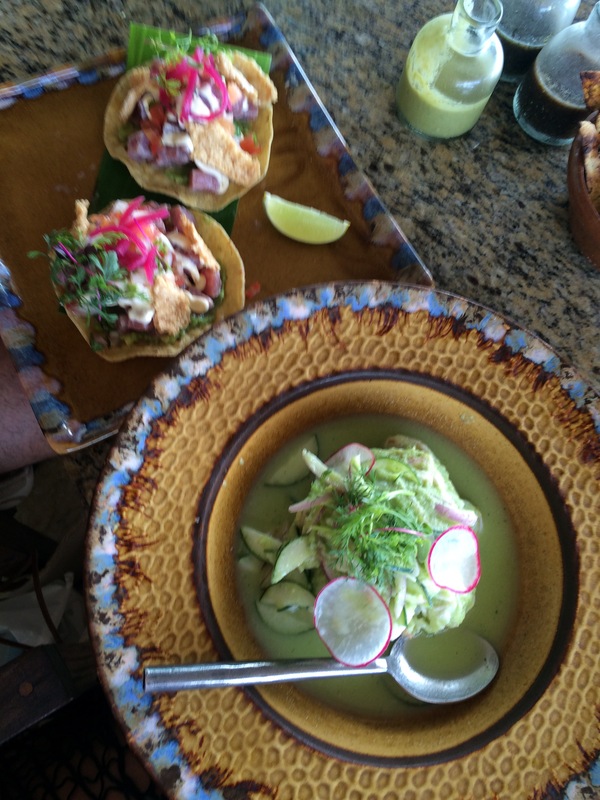 We realllllly enjoyed their lunch menu filled with tons of fresh, perfectly done ceviche and delicious tacos! 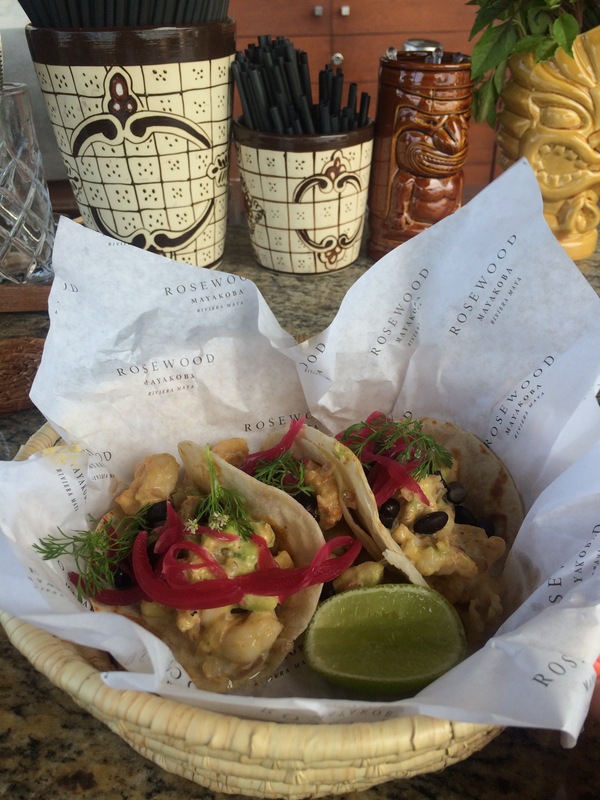 My faves: the lobster tacos, shrimp aguachile (the superstar!!!! 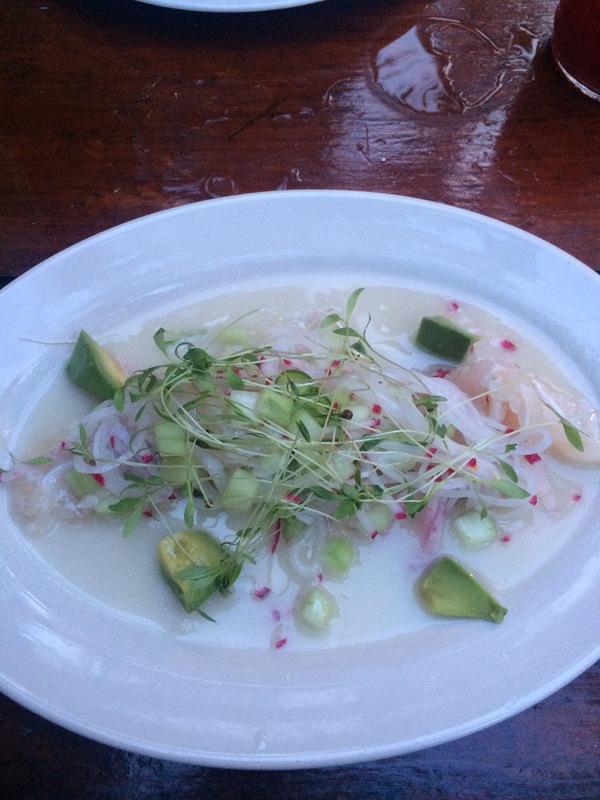 ), & ceviche sampler. While we loved their lunch menu, we did not feel the same about dinner. It was good for sure but did not offer the menu selection we had hoped for. The atmosphere during dinner is also more on the quiet side, quite the opposite of the lively poolside / beachside lunch atmosphere. ROSEWOOD ROOM SERVICE: Whoa!!! The BEST room service I’ve ever had! They think of everything… I mean the ice cubes for the soda are actually made of the same soda you ordered so your drink is never watered down! 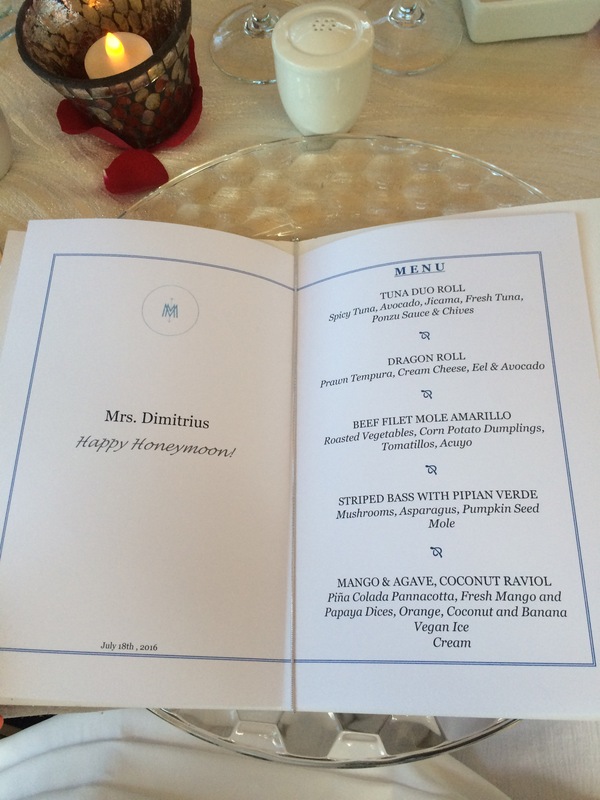 And the menu is fantastic!!! Everything was good! CASA DEL LAGO: This is the only restaurant at the Rosewood Mayakoba that serves breakfast (in addition to lunch & dinner). Unfortunately, we were left a little disappointed from our only visit here at breakfast where you have option of the buffet or ordering a la carte. After perusing the buffet selection, we opted to order a la carte. That was the only time we ate there since we determined that the room service selection was more up our alley for breakfast. Not to mention, we had such a hard time leaving our incredible room! 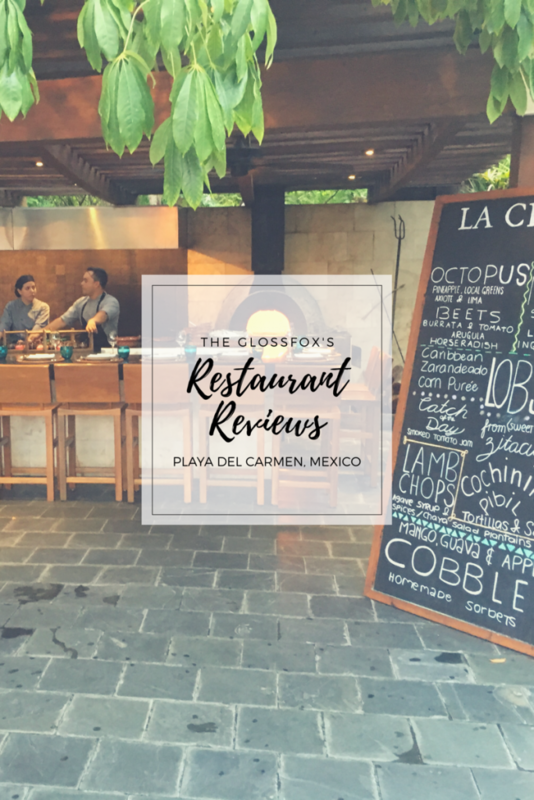 We did not get a chance to try Casa Del Lago for dinner but we had heard good reviews from other guests. 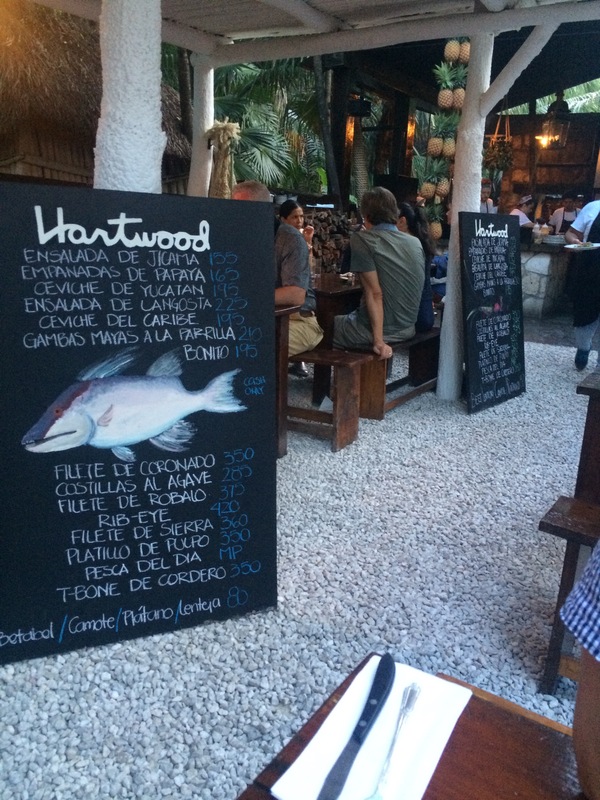 HARTWOOD: After years of salivating over the photos from the Hartwood cookbook that sits on my brother’s coffee table, I could not miss an opportunity to try this infamous Tulum hot spot. 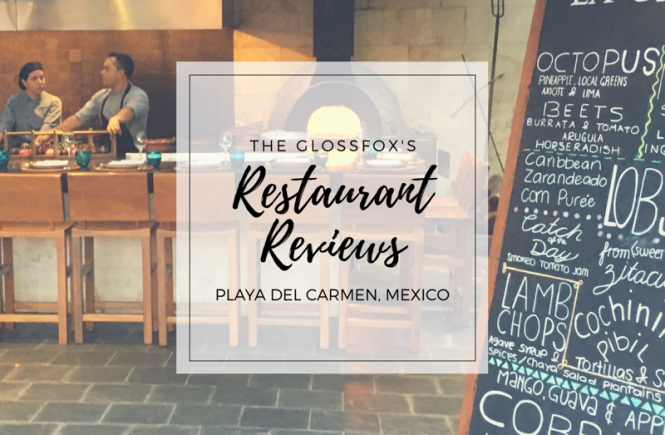 Sadly, in my humble opinion it did not live up to the hype and not worth the approximately 45-minute drive from Playa Del Carmen. Even though we made a day out of touring the ruins, it definitely left me feeling disappointed. The outdoor boho chic atmosphere was very cool and it was definitely the spot to see and be seen at. 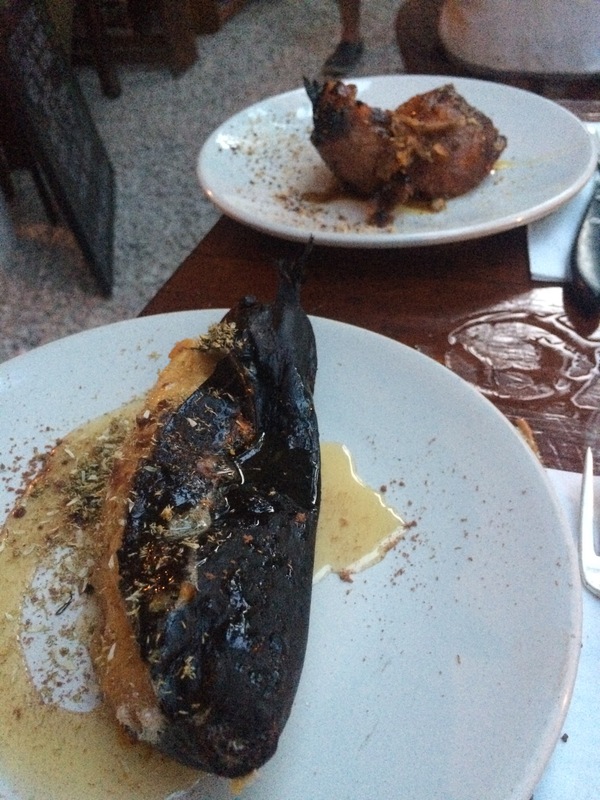 However, the food was all pretty bland and the rushed and inattentive service was in need of improvement. We ordered a variety of items to give the place a fair shot but nothing stood out. Trust me, I really wanted to like this place. After all, I had been dreaming about this meal since I first laid eyes on that cookbook. Perhaps it was better when it first opened but in its current state, sadly, I have to say I would not go back. Great concept but poorly executed. CENACOLO: This tasty Italian sidewalk cafe located on Playa Del Carmen’s infamous 5th Avenue was recommended one of the staff at the Rosewood. Great location and a nice way to get out of the resort to people watch in town. While I don’t recall the name of the dish I ordered, it was a great tomato-based pasta dish mixed table side in a giant Parmesan cheese wheel. 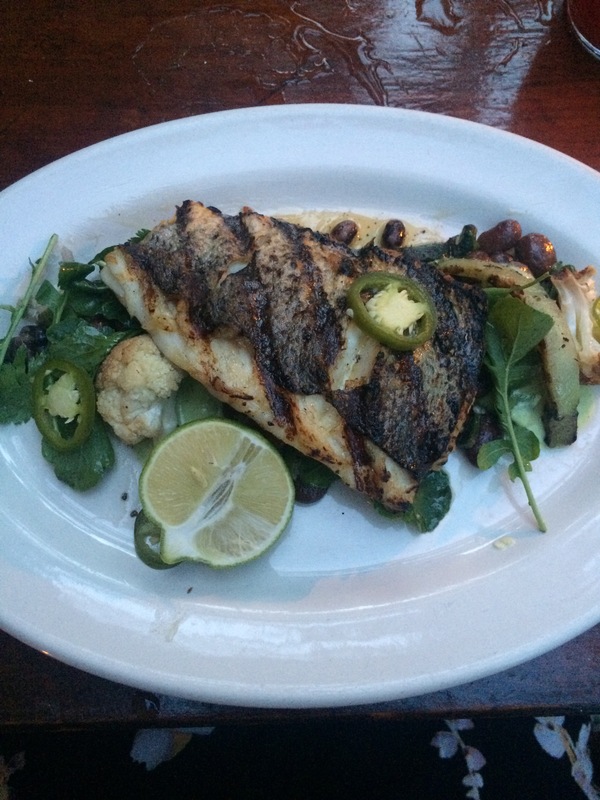 I believe there is only one dish served that way on their menu so don’t hesitate to ask. I would order it again although we would likely opt to try one of the other inviting restaurants in the same area. There were a lot to choose from and too little time! 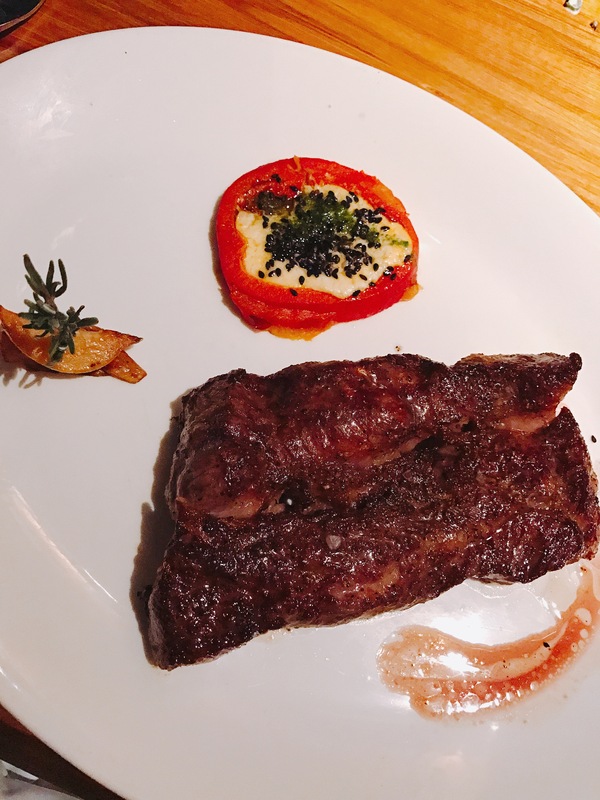 HARRY’S: This a fabulous high-end Steakhouse comparable to any of the good steakhouses in the U.S. located in an ideal location perched above Playa Del Carmen’s 5th Avenue. Ask to sit on the outside deck for a nice bird’s eye view. I ordered the Japanese Kobe filet (10 oz.) and it was approximately $100 USD, a great price for what you’d pay for the same cut in the States. It was absolutely delicious! Iceberg wedge to start – simple and tasty. Their bread!!! 😋 Oh and you HAVE to save room for dessert: the Harry’s Pie! Heavenly!!! It’s basically a mud pie with Oreo crust, macadamia nut ice cream and a fudge shell. I can die now. Thanks! 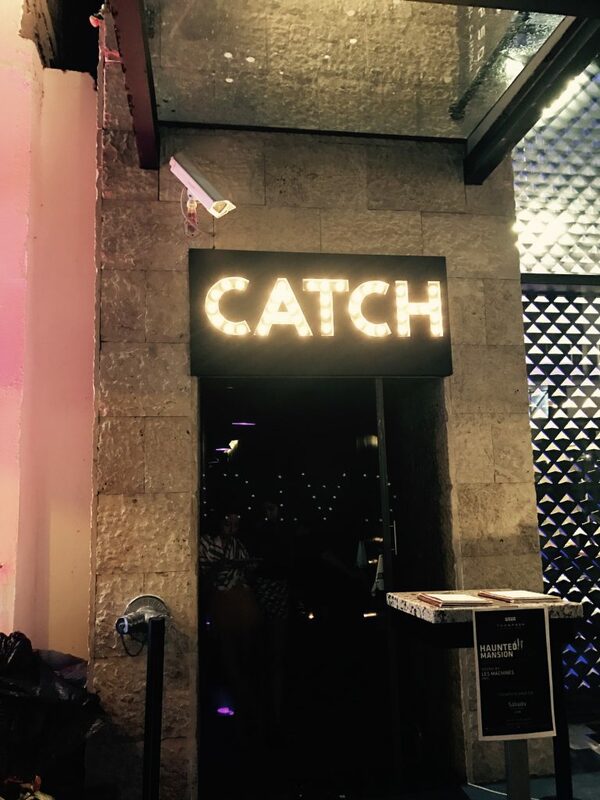 CATCH: Located on the rooftop of the Thompson Hotel in Playa Del Carmen, this is the expansion of the popular celeb-infested Catch restaurant chain from NYC, Dubai and now LA. 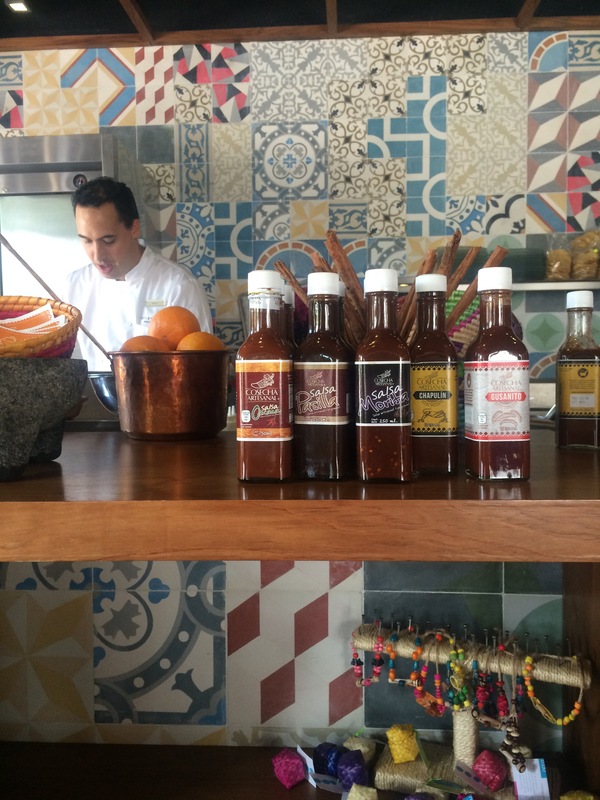 While you may need to know someone who knows someone to get into one of the other locations, this Playa Del Carmen hotspot appears to have all the same swag without the red tape (translates to: you can get a reservation much more easily). Honestly, I had expected REALLY big things from this place after all the hype of the LA outpost. Unfortunately, it fell short of my expectations. 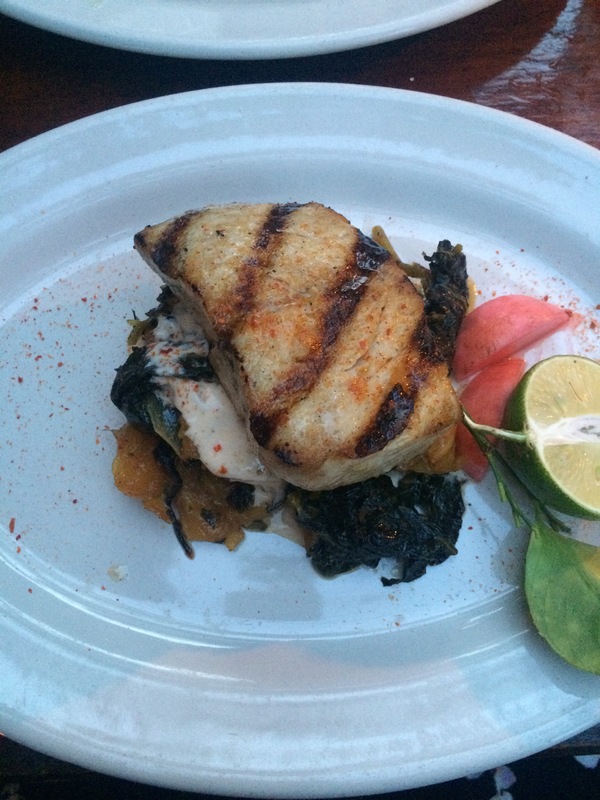 While I loved the beautiful rooftop ambience (in my opinion, the best in Playa Del Carmen), the food was just average. None of the entrees stood out. In fact, the tuna on crispy rice we had was more on the fishy side (read: less fresh). The desserts, however, were fantastic! One we had was their version of a Klondike bar. The other dessert was a round churro-type pastry. I would not go back for the food but would definitely stop by for drinks because of the rooftop atmosphere & good crowd. On the other hand, I have heard nothing but stellar reviews of the Los Angeles location from some of my trustworthy friends. So I am still itching to pay Catch LA a visit. If all the LA hype is on target, then perhaps you can chalk up the difference in quality to the management. 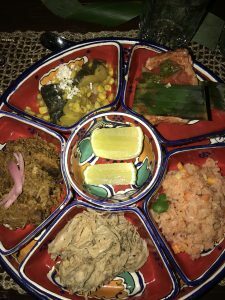 HAAB: Similar to the La Ceiba dinner at the Rosewood, this outdoor Chef’s Tasting of Traditional Mayan Cuisine complete with Mayan Show is found at the Banyan Tree Mayakoba. 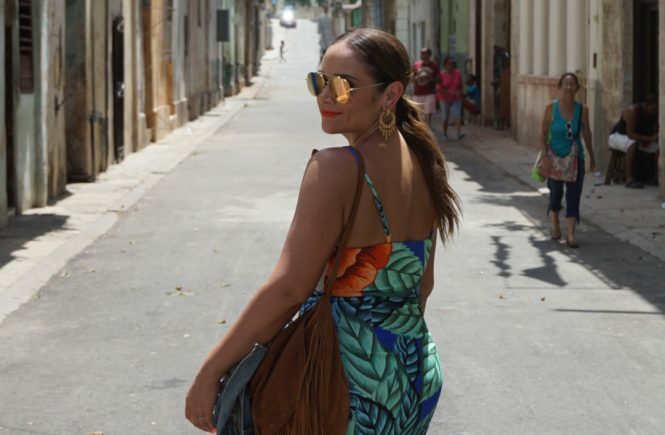 Since I loved La Ceiba so much, I had a good feeling about Haab. 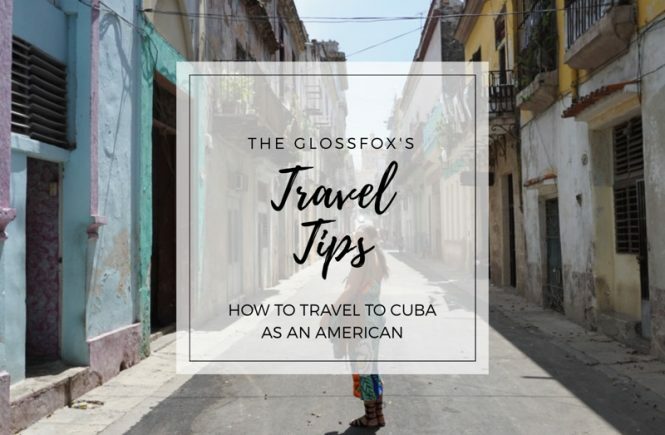 It is less expensive than La Ceiba at $175/per person. Note: it is held only on certain nights with very limited space & advance reservations are required. Unfortunately, on the evening we went it was raining so they were unable to use the outdoor dining area that they normally use for the dinner-show experience. 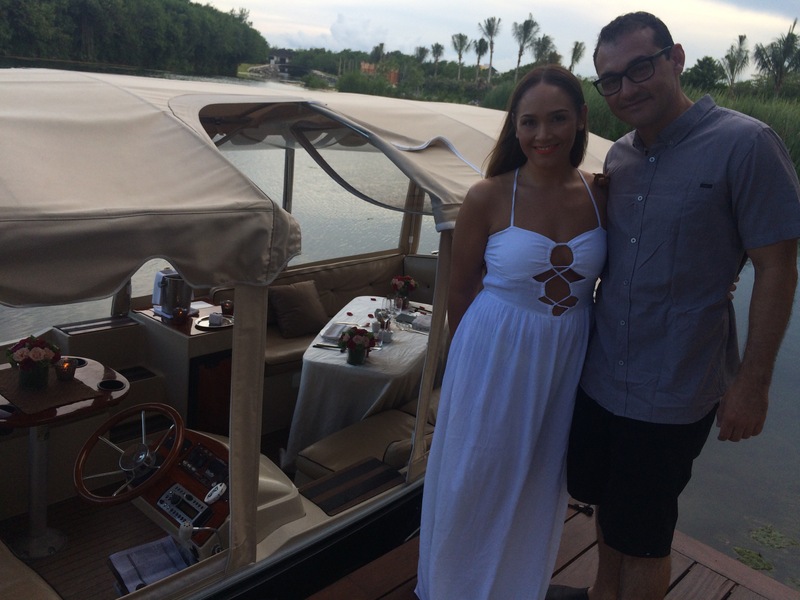 Instead, they escorted us around various areas of the lobby to witness different show elements from Mayan dancers dressed as animals to a Mayan purification of the guests to an arrival of other performers by boat. 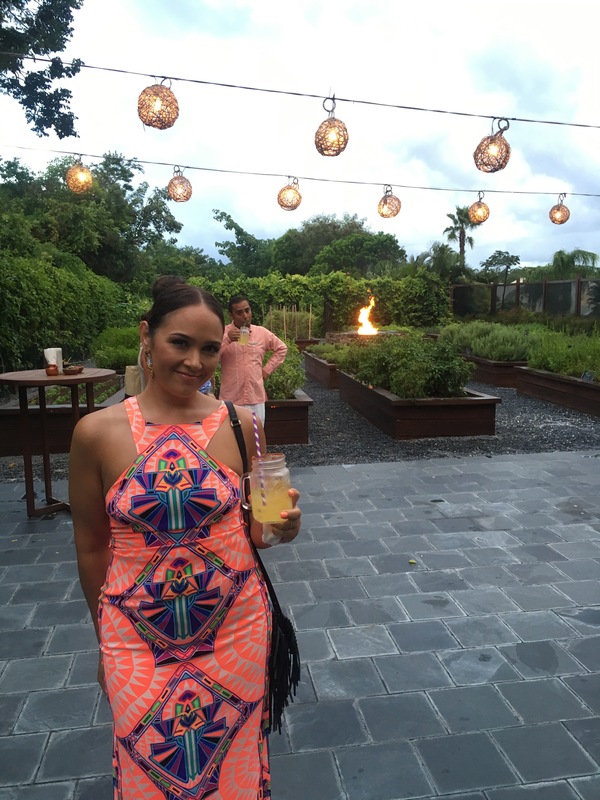 From there, we were taken into a banquet room on the ground floor of the lobby, where the dinner host indulged guests in Mayan stories and did some tribal face painting on the male guests (envision Mike Tyson’s face tattoo). By the time we sat down, we had already been served numerous alcoholic drinks (all of varying alcohol types) without any food. 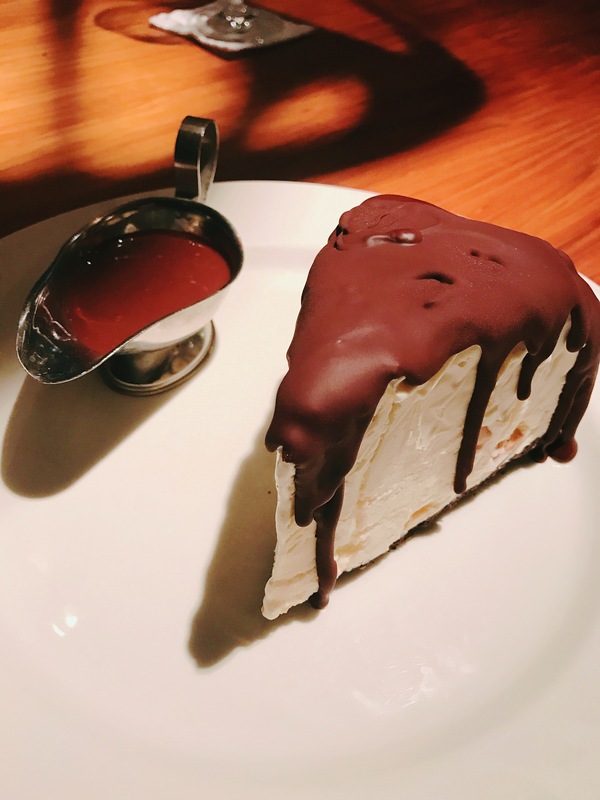 It was a little too much, even for my taste, and I love a good overindulgence every once in a while especially on vacation. 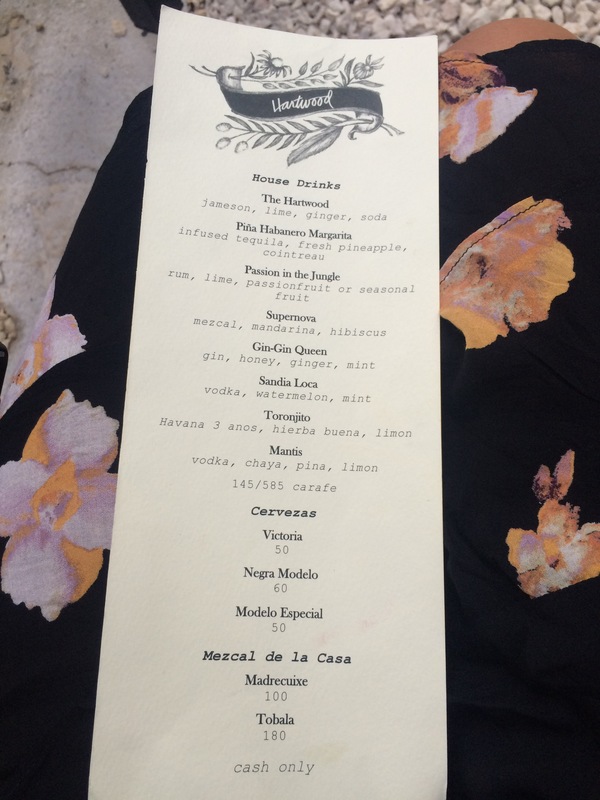 In addition to the excessive quantity of food and drinks, the menu was not as cohesive as its potential. The multi-course Mayan-influenced food was a fantastic concept but it was a bit of an overkill. The food was all great but there were just too many different items. To me, there is a fine line between pleasantly stuffed leaving you craving the meal again in the future and feeding you to the point that you feel like you seriously need a wheelchair out. I may be exaggerating slightly but the men in our group were all groaning at the end. Combining that with various performances, multiple lengthy stories, & forced guest interaction, it was far from relaxing. For me, that takes away some of the enjoyment of the food and company. I also think that we would have enjoyed the experience a lot more if we had been able to eat outdoors in the intended Haab dining garden. I would say I would try it again if we were able to do so outdoors. 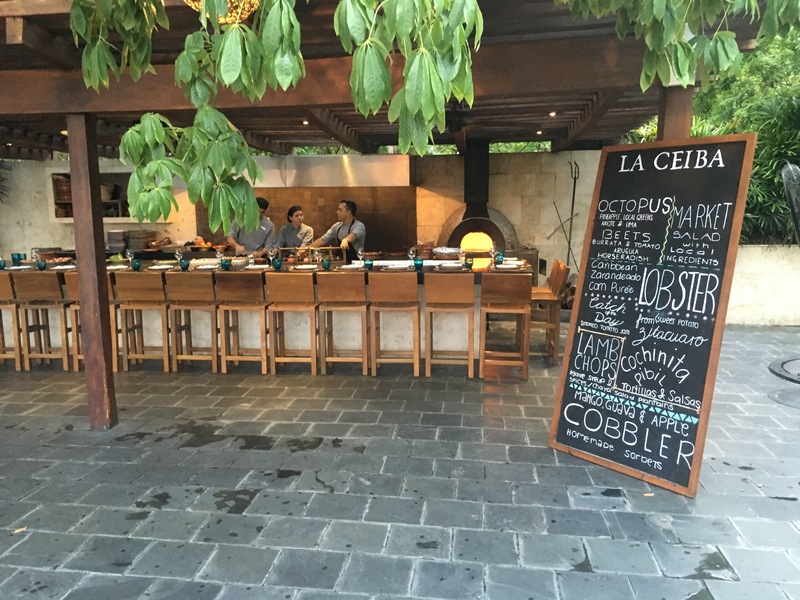 However, if given the choice between a dinner at La Ceiba or Haab? Hands down my vote goes to La Ceiba. 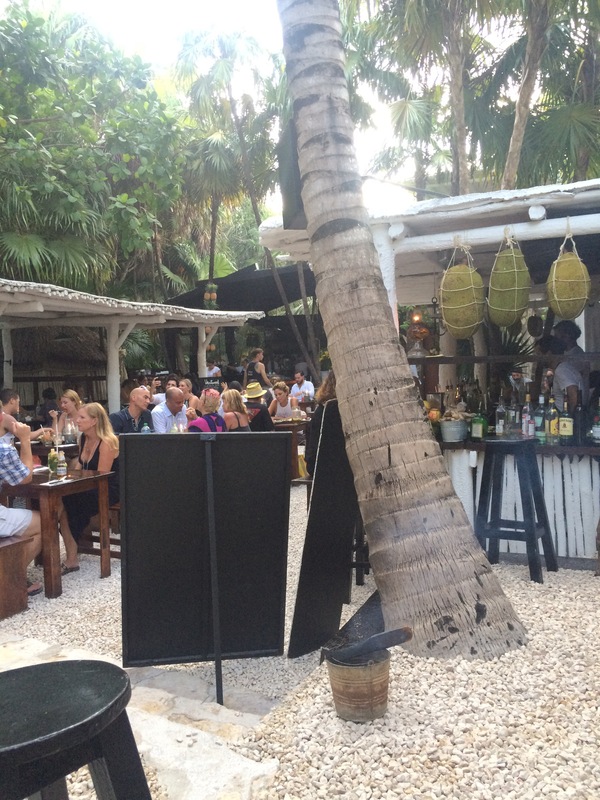 ARCA TULUM: Such a beautiful outdoor setting similar to the atmosphere of Hartwood. 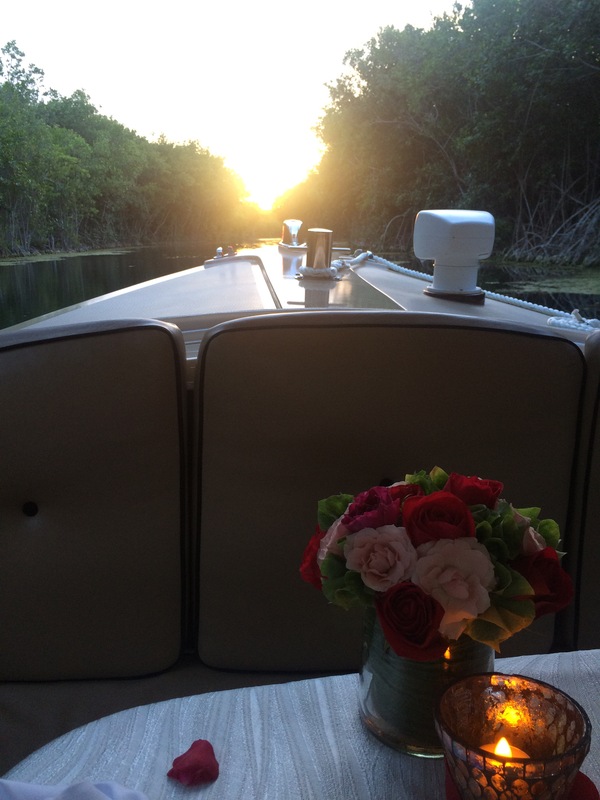 This would be such a fab location for a rehearsal dinner for any of you looking to do a Tulum destination wedding! The menu looks great, it has great Trip Advisor reviews and got a mention in the Rosewood Conversations mag. 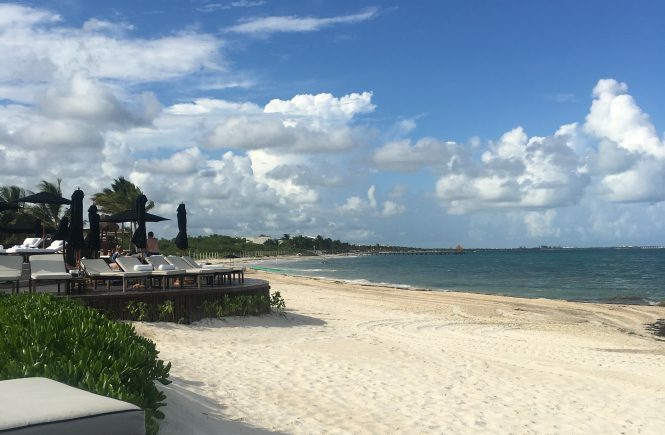 Stay tuned for Part 3 of my Rosewood Mayakoba / Riviera Maya review: my recommendations for activities and things to do while in this Mexican paradise!